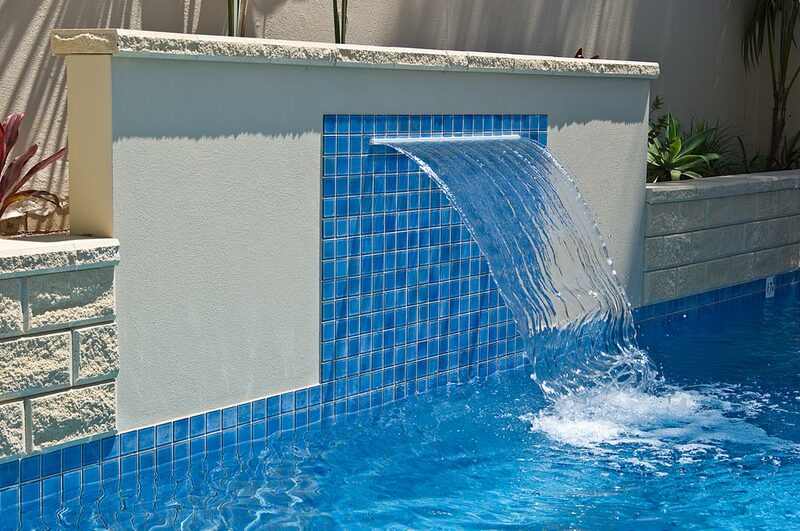 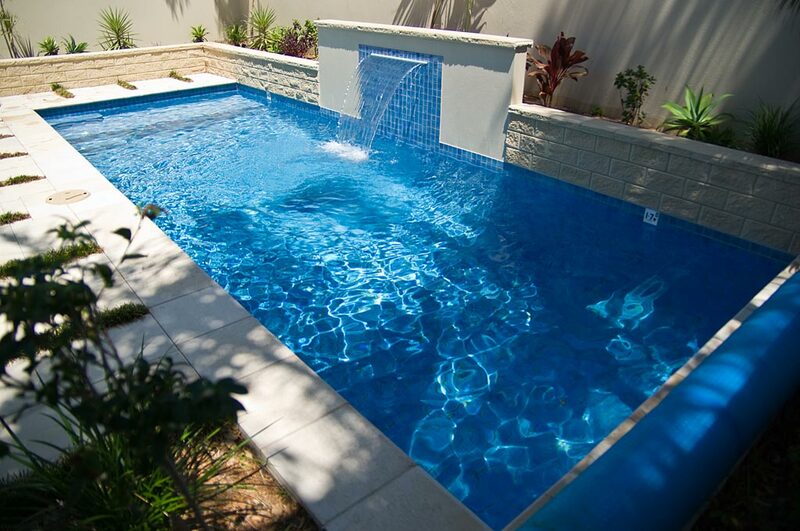 This fully tiled plunge pool in the Eastern Suburbs features an up-stand wall incorporating planter boxes and a stunning water feature which is highly visible from most areas in the home (kitchen, family room and formal lounge). 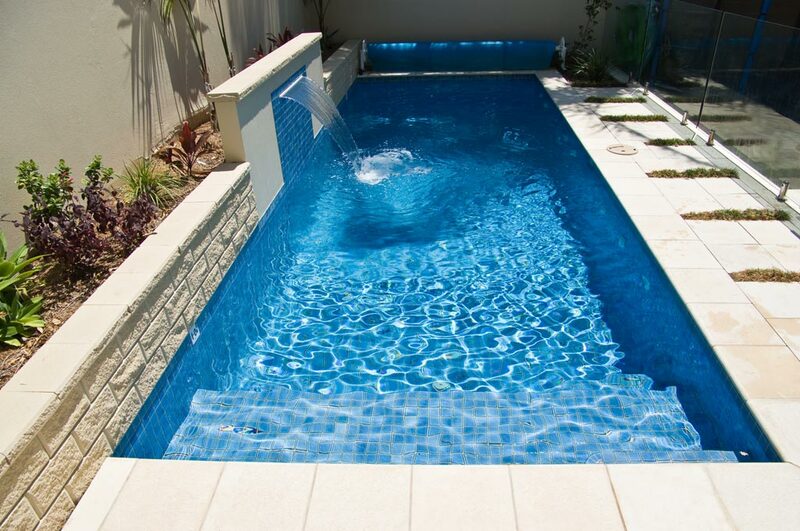 This plunge pool works well with a full width swim-out platform for the kiddies and to relax and enjoy the rear yard during summer. 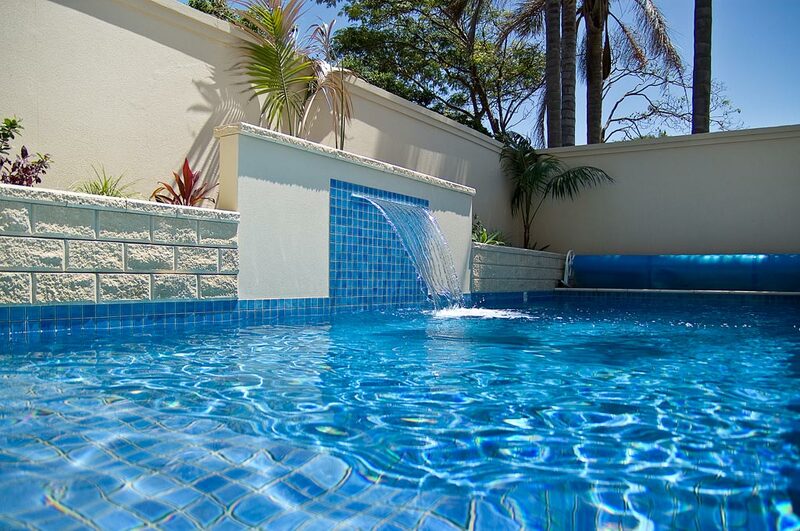 This classic style swimming pool has added value to both the property and, more importantly, to the lifestyle of the family. 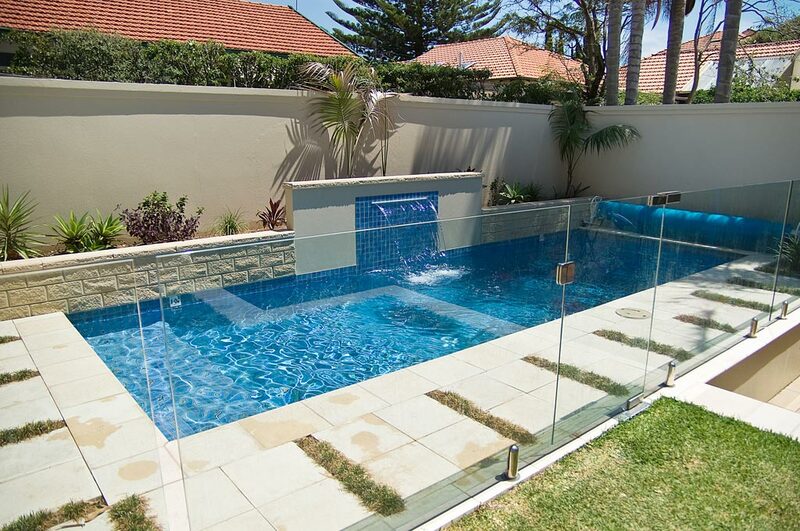 The frameless glass fencing create a stylish look that enhances the whole ambience of the space.